"Verified Voting congratulates Christy McCormick on her election as Chair of the Election Assistance Commission and her three priorities for her tenure: election preparedness, replacing aging voting equipment, and working towards improving accessibility for all voters including voters with disabilities, military and overseas voters and limited English proficient voters. "With those laudable goals in mind, Verified Voting urges Christy McCormick and the EAC to ensure that the next generation of voting systems provide most voters the opportunity to mark their ballots by hand and support robust post-election tabulation audits. These post-election audits can protect the integrity of the election outcomes with the existing systems.Technology has evolved so that improved security, verifiability and accessibility are not mutually exclusive, but can give everyone, the candidates, voters, the press and the public assurance that our voting system is resilient against attack." What Would an Attack on the U.S. Elections Look Like? Wisconsin’s action last week requiring a post-election audit will help secure the November vote and should be followed by states that lack such protections, according to Public Citizen and Verified Voting. 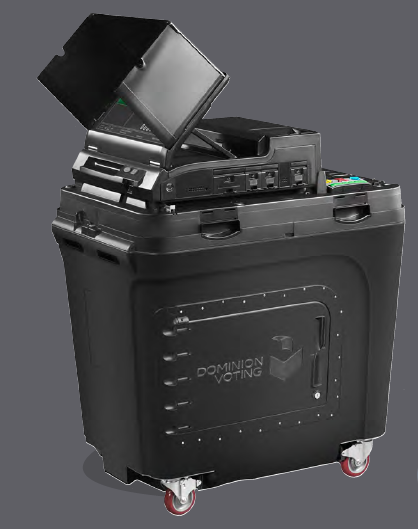 Written Testimony of Verified Voting.org President Marian K. Schneider before the Pennsylvania Senate State Government Committee Public Hearing on Senate Bill 1249 and Voting Machine Demonstration, September 25, 2018. Download as PDF. As voters prepare to cast their ballots in the November midterm elections, it's clear that U.S. voting is under electronic attack. Russian government hackers probed some states' computer systems in the runup to the 2016 presidential election and are likely to do so again – as might hackers from other countries or nongovernmental groups interested in sowing discord in American politics. Fortunately, there are ways to defend elections. Some of them will be new in some places, but these defenses are not particularly difficult nor expensive, especially when judged against the value of public confidence in democracy. I served on the Iowa board that examines voting machines from 1995 to 2004 and on the Technical Guidelines Development Committee of the United States Election Assistance Commission from 2009 to 2012, and Barbara Simons and I coauthored the 2012 book "Broken Ballots." Election officials have an important role to play in protecting election integrity. Citizens, too, need to ensure their local voting processes are safe. There are two parts to any voting system: the computerized systems tracking voters' registrations and the actual process of voting – from preparing ballots through results tallying and reporting.